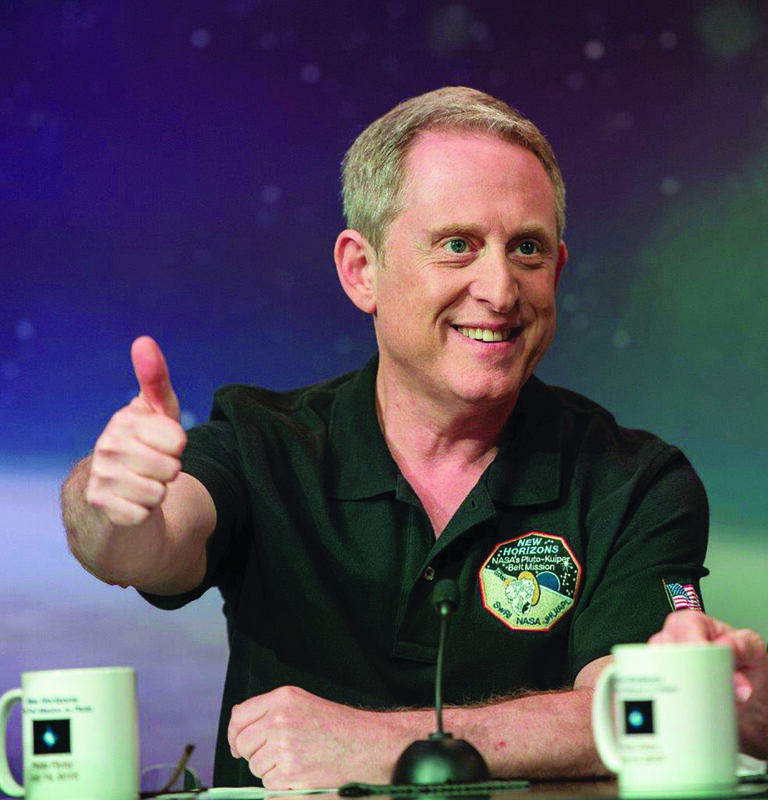 June 28, 2016 – The National Aeronautics and Space Administration today bestowed its highest honor, the NASA Distinguished Public Service Medal, to Dr. Alan Stern of the Southwest Research Institute in Boulder, Colorado. As principal investigator of the New Horizons mission, Stern led the team that returned remarkable imagery and other data from the Pluto system last summer, generating headlines worldwide and setting a record for the farthest world ever explored. New Horizons represents the best of humanity and reminds us of why we explore,” said Jim Green, NASA’s director of planetary science. “The first flyby of Pluto is a remarkable achievement, and NASA is pleased to present this medal to Alan Stern in recognition of his leadership on this historic mission. The Pluto flyby culminated on July 14, 2015, when the spacecraft came to within 8,500 miles of the planet. Onboard instruments collected historic images and science measurements, more of which will reach Earth over the next few months. The New Horizons team also hopes to extend the mission into the Kuiper Belt, an area of icy objects at the far reaches of the solar system. Pending funding approval from NASA, the spacecraft would travel on nearly a billion miles beyond Pluto to fly by a Kuiper Belt object known as 2014 MU69. Stern and the New Horizons team have been honored multiple times since the flyby. Stern was recently named one of the TIME 100 most influential people in the world — his second such designation — and the American Astronomical Society (AAS) awarded him its Carl Sagan Memorial Award. Team achievements include the AAS Neil Armstrong Space Flight Achievement Award and the Aviation Week and Space Technology 2016 Laureate Award for space exploration. The NASA mission also was named among the top science news stories of 2015 by Discover Magazine and Science News. The New Horizons science team has won more than two dozen awards to date. NASA’s Distinguished Public Service Medal is the highest form of recognition given to citizens whose distinguished service or vision has contributed to the advancement of NASA and the nation, demonstrating a level of excellence that has made an indelible impact to NASA mission success.